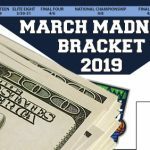 New Jersey‘s online gambling operations netted a combined $9.5m in revenue in January, the second full month of the Garden State’s fledgling regulated online market. That figure is 28% higher than the $7.4m recorded in the month of December, but most observers had expected January’s tally to top $10m. (What happened to the kaboom? There was supposed to be an earth-shattering kaboom!) 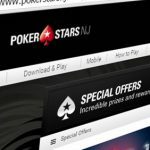 The New Jersey Division of Gaming Enforcement (DGE) reported that the state’s licensed online firms had created nearly 198k online accounts since the market opened for ‘soft play’ in late November. The Borgata/Bwin.party combo continued to lead the online charge, but its dominance slipped. The Borgata earned $3.9m (+16% over December), good for 41% of the total online revenue pie, but down from over 50% in December. In another change of pace, the Borgata’s online casino vertical outperformed PartyPoker in January, earning $2.05m and $1.84m respectively. 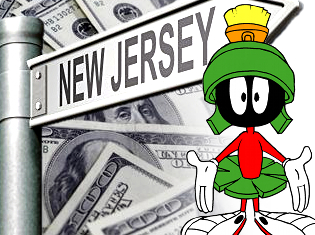 Poker’s share of the total New Jersey online market slipped from 43% in November/December 2013 to 41% in January. 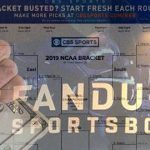 Caesars Entertainment’s online offshoot Caesars Interactive Entertainment (CIE) continued its bridesmaid role with $3.03m total revenue, up 50% over January’s total. As with the Borgata, CIE’s casino vertical grew more than poker, pulling to within $1k of CIE’s poker revenue total. The DGE is still declining to break out revenue by each skin operating under a casino licensee’s online permit, making the CIE-skinned 888 Holdings’ operations difficult to quantify. The Trump Taj Mahal/Ultimate Gaming combo earned $858k (+4%), all but $88k of that coming from its casino vertical. 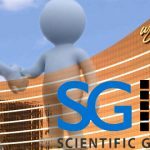 The Tropicana/Gamesys pairing and the Golden Nugget earned $841k (+39%) and $287k (+62%) respectively, all of it from casino, neither site having launched its poker product in time. The Trump Plaza/Betfair combo earned $557k (+39%) from its online casino and a whopping $11 from its poker vertical, somehow managing to undercut the Plaza’s $38 poker bounty in December. The state’s combined brick-and-mortar and online gambling operations generated revenue of $195.7m in January, down 4.6% from January 2013. Stripping aside the contribution from online gambling, Atlantic City’s brick-and-mortar casino win was off 9.2% from last year, although some of this decline is attributable to the Jan. 12 closing of the Atlantic Club Casino Hotel, which was shuttered and stripped for parts after being purchased by the tandem of Caesars and the Tropicana. The Borgata maintained its lead atop the brick-and-mortar charts with $48.3m, up 2.5% over January 2013. Harrah’s was well off the pace at $25.6m (-3.9%), while perennial third-place finisher Caesars barely held onto its position with $17.8m, down 23.8% year-on-year. 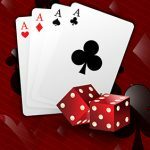 The rest of the pack finished this way: Tropicana ($16.7m, -8.8%), Trump Taj Mahal ($15.4m, -18.2%), Bally’s ($14.9m, -15.7%), Showboat ($11.3m, -17.3%), Golden Nugget ($10.5m, +9.9%), Revel ($9.8m, +23%), Resorts ($8.4m, +2.4%) and the Trump Plaza ($3.6m, -26.7%). The Atlantic Club earned $3.9m before its lights were switched off.